Everyone always ends up in your kitchen – after games, concerts, graduations, holidays. You love to entertain, and you need the ultimate collection of appliances for kitchen design and culinary performance on a grand scale. We can deliver with a flourish. 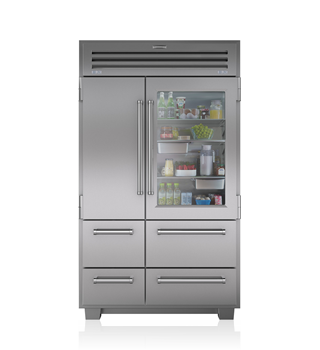 The Sub-Zero PRO 48 refrigerator is our most aggressive design statement – a 360kg monument to food preservation, with over 750 litres of storage. The glass door lets you showcase your most exquisite specialty foods – imported cheeses, mineral water, caviar. 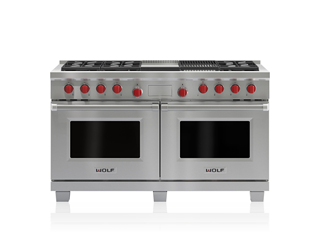 Even the biggest party or family gathering won't faze the Wolf 1524mm dual fuel range – it's the ultimate cooking centerpiece, with two dual convection ovens and five different cooktop configurations. It does a masterful job with everything from the Christmas turkey to classic French cuisine. 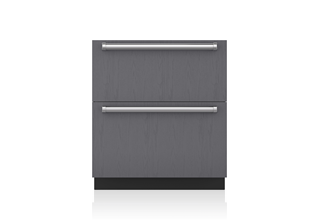 You'll have food storage for even the biggest gatherings, right where you need it – in the island, near the prep sink – when you add Sub-Zero Integrated refrigerator or freezer drawers to your kitchen.